Sara Baldwin put a link to a story up on Twitter the other day and I've been thinking about it a lot lately. The story came from the Israel Antiquities Authority, and it tells about the uncovering of an amazing, 1700-year-old Roman mosaic floor in the town of Lod. It's been incredibly well-preserved and is a truly great example of Roman decorative art. Here's a hi-res shot of it. Click on it to see it in better detail. The entire floor is larger than 180 square meters (that's nearly 2,000 square feet). That's amazing enough, but when you look at the detail in this mosaic it's nearly overwhelming. Well, it's nearly overwhelming to me at any rate. The fish motif at the bottom of the photo is really typical of Roman mosaics. In my dream home, my bathroom floor has a Roman, fish mosaic. Here it is up close. If you notice, the fish are depicted in a somewhat realistic way. But the porpoises are highly stylized. In fact, that stylized porpoise shows up in a couple of places in that mosaic. There has to be a reason for it and I don't know enough about Roman art to know why. Anybody have any ideas? I'm sending this out to the blogosphere: why are Roman porpoises so consistently stylized? The section in the center shows a collection of game animals. Check out the detail on the giraffe and the geometric pattern on the elephant. I could stare at this for hours. A lot of these colors have been preserved pretty well, there's enough left that it gives me an idea of how much this mosaic must have leaped off the floor when it was new. That braided pattern that runs through the whole piece and divides it into scenes was done in multiple colored stones and it does a great trompe l'oeil, even 1,700 years later. These kinds of Roman mosaics are why I love contemporary mosaics so much. The methods the anonymous Roman mosaicist who made this floor in Lod are pretty much the same materials and methods used by fine mosaicists today. I see contemporary mosaics as an embrace of the entirety of human history and culture, but then again I tend to think in terms of grand gestures. But what a cool thing though. Here's this ancient art that still practiced today. If you put a mosaic in your foyer, you'll be doing exactly what people have been doing for thousands of years. There are very few aspects of modern life that connect back through time in such a straight line. I have had a lifelong love for this art form and it goes back to a reading assignment I had when I was in second grade. I was seven years old and we read a short story about the excavations of Pompeii. That story told to a seven-year-old lit a fire that's been burning ever since. 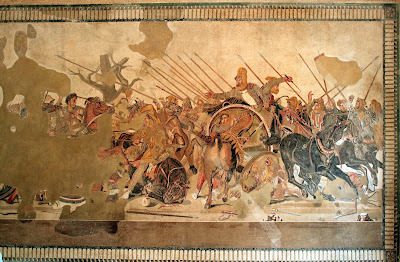 In that story, there was a photograph of a grand and dramatic mosaic that depicted a battle scene. I didn't know what it was at the time, but over the course of my education I learned that that the battle scene depicted the defeat of Darius of Persia by Alexander the Great in the Battle of Issus. The Battle of Issus took place in November of the year 333 BCE. To the Romans, it was the Alamo, The Battle of Gettysburg and Indiana Jones all wrapped up in one package. Alexander was a folk hero, sort of a Paul Bunyon character and he loomed large in the Roman imagination. Of course, seven-year-old me didn't know any of that. But what I did know then was that I had to see it for myself. I made a promise to myself that some day I would see that battle scene in person. 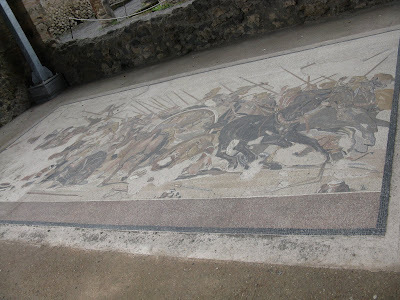 Well, it took 36 years, but I did see the Pompeian mosaic of the Battle of Issus with my own eyes. No photograph I'd ever seen began to do it justice. The look of sheer panic and loss on Darius' face is as clear today as it was when the mosaic was put down on the floor of the House of the Faun in about the year 50. There is so much energy in this image it nearly crackles and sparks. Arrows fly, horses rear, whips crack and Darius reaches out an empty hand toward his fallen sword. I am not a man who's very prone to emotional outbursts, but standing in front of that mosaic reduced me to a shaking, quivering bundle of spontaneous tears and jangling nerves. It was a peak experience. The mosaic was surely awe-inspiring, and to walk hand in hand with the ancients in a place like Pompeii is something I have a hard time putting into words. But more than anything, what was so overwhelming was having my then 43-year-old self make good on a promise made by my seven-year-old self 36 years earlier. I swear, I will tell that story and get misty eyed about it until the day I die. So here's the Battle of Issus on the floor of the House of the Faun. It's hard to get a good angle to photograph the whole thing. And again, my photos fail to capture it utterly. And here's me after having pulled myself together and as the euphoria was taking over. 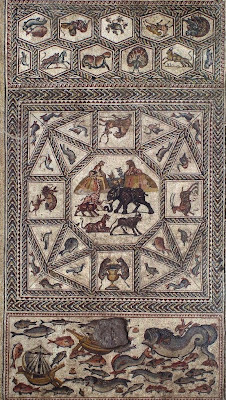 That reading assignment in 1972 set me up for a lifelong appreciation of the mosaic as art and I do spend quite a bit of time writing about them here. Now you have an idea why. So whether they are done in a classic style or something completely abstract and modern; whether they're done in colored stone or ceramic, glass or metal; I will always have an affinity and a passion for them. That's why too they appear in nearly all of my work. It's kind of funny, I owe all of it to Sister Melitta and a reading lesson she taught when I was in second grade. 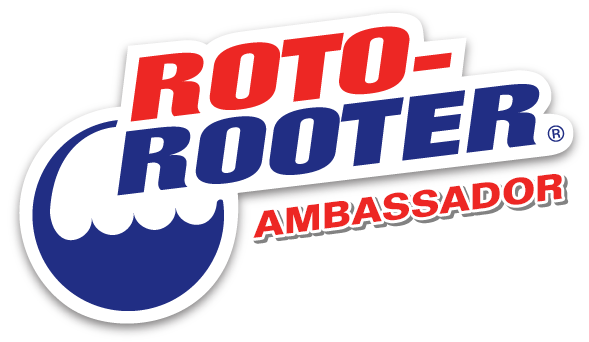 Some day we can make your dreams come true! I'll send along some of our mosaic patterns that we've done in the Roman style--a hand-chopped, tumbled tesserae, with figurative elements--so you can see what I mean. You also caused me to look at our website and see that we don't show this style AT ALL and need to post some more images. So glad you enjoyed that article. Man! I'd love to see what you guys do in the Roman style. You have my curiosity piqued and then some. I'll say it again; lady, you rock! What masterpieces these are! I can see why you have an infactuation for Mosaics. Re the stylized depiction of Porpoise. Perhaps because they are Mammals unlike fish, they just considered them unique. That's fantastic you were able to see some of that stuff on expo. Your mention of the plaster casts reminds me of being there and seeing them in person. Most of those casts are displayed in the places and positions where they were found and it's awe-inspiring and chilling at the same time. The excavation at Pompeii is not like being in a museum or a re-enactment, it's a real snapshot of ancient life, complete with the remains of some of the people who called it home. There's a cast of a man in the market in Pompeii. From the wide belt he's wearing you can tell he was a slave. His head is arched back and his mouth is open and parts of his skull are visible through the plaster cast. 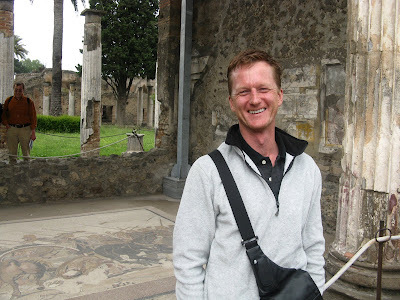 The horrific way in which he died is palpable and it drives home the point that despite its many wonders, walking through the ruins of Pompeii is really a visit to a mass grave. It's at once humbling and humanizing. Dare I say; to actually walk the ruins and to see the casts of the victims on site would be 'haunting'. It is haunting, but in a forlorn sand-through-the-hourglass kind of way. It doesn't feel macabre at all. Well, at least not to me. The bodies made me feel more connected to the place and the stories, but that might just be me. you know, i just remembered what it was like to walk through the bardo museum in tunisia for the first time. 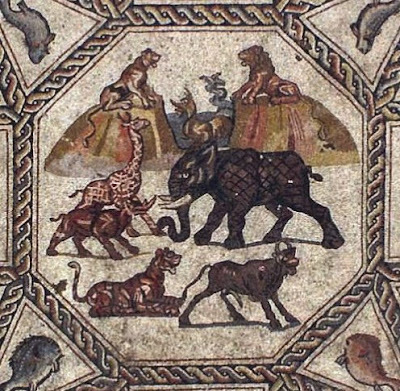 (probably best collection of roman/african mosaics in the world) i think i actually burst into tears. Thanks for that Sara. I feel less hysterical. I don't know what it is, but every once in a while, I'll get broadsided by a piece of art or antiquity (or both) that I can't fully process rationally. I go into overload. Roman stuff gets me every time, but it's not restricted to Roman work, believe me. I just Googled that museum and the photos alone are going to give me a stroke. My God. I need to add Tunis to the list of places I have to go.